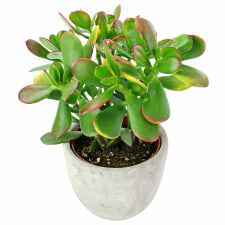 Sporting a truly unique look, our Ever Emerald potted jade plant will spruce up a bland office or add a striking accent to the home! 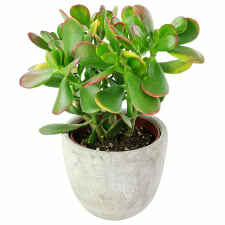 This eye-catching yet undemanding succulent is easy to care for when you give it lots of sun, while the concrete pot it arrives in adds an urban vibe to any setting. 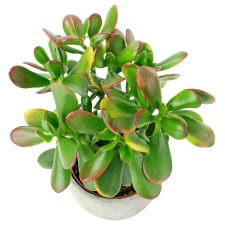 Thank you for prompt delivery, my son was very pleased to receive the plant on moving day.